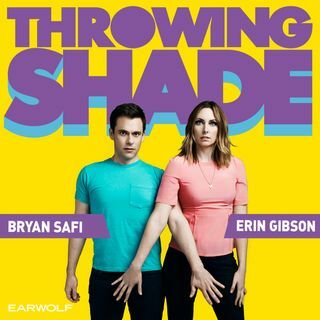 Guest co-host Eliza Skinner is back for a threepeat on this week’s Throwing Shade! Eliza and Bryan usher in the new year with stories of dating, hookups and breakups before getting into the hottest topics. First, we’ll hear about the resignation of Grindr’s director of communications in response to CEO Scott Chen’s Facebook post that marriage is between a man and a woman. Then, they’ll get into a comprehensive new report by the Institute for Women’s Policy Research explaining why the gender gap ... See More is actually worse than we think it is and why it disproportionately affects women of color.